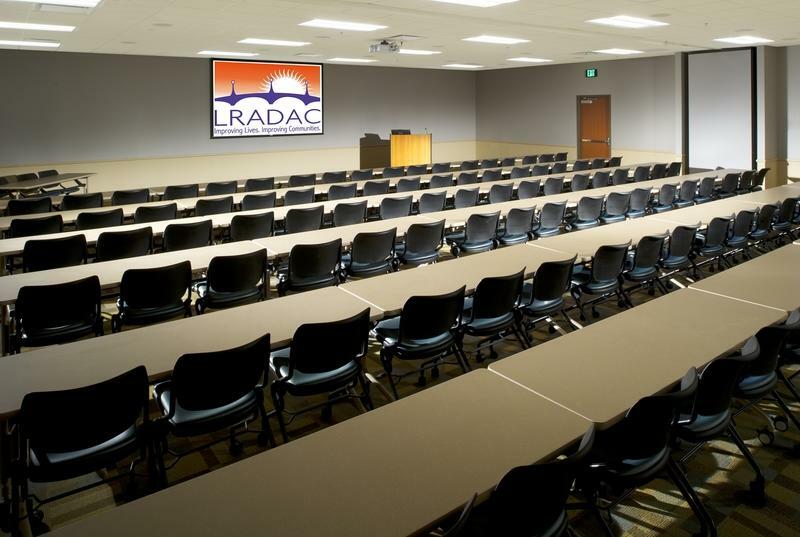 LRADAC has state-of-the-art facilities perfect for training, seminars and meetings. 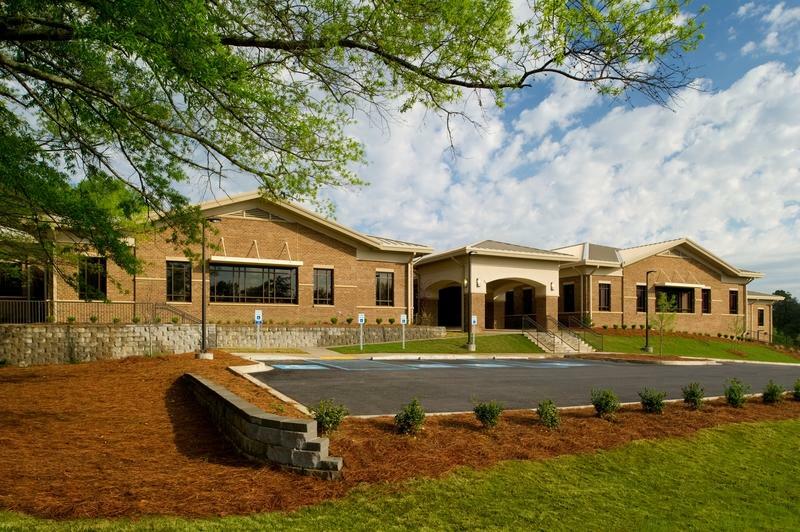 The Education Center is approximately 2000 square feet and will accommodate up to 120 individuals. It may be divided into two separate rooms with 60 at tables in the front or back portion. The Center has advanced audio video systems and is compatible for audio conferencing and "WebEx" type presentations. The room is equipped with two drop down screens and Smartpodium for presentations. The room is equipped with podium mic, handheld mic or lapel mic. A serving area is located in the rear of the room where coffee and other beverages and snacks may be served. An Education Center entrance is located at the rear of the building, off of the Administrative parking lot, to allow for uninterrupted entrance to the facility.